A historical and cultural marvel, the city of Hyderabad is a relic of the Nizam and the Mughal rule. Established in 1591 by Muhammad Quli Qutb Shah, it was to remain under the rule of the Qutb Shahi dynasty until 1687, when Mughal emperor Aurangzeb came in to conquer the region, thus making the city part of the Deccan province of the Mughal Empire. The city with its vast array of Mughal architecture and beauty will surely take you in and hold you in awe of its grand and majestic background. 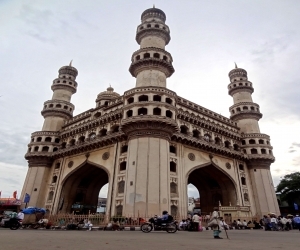 Hyderabad that is believed to have gotten its name from a local dancing girl with whom Muhammad Quli Qutb Shah fell in love with and eventually married, is also known as India’s pharmaceutical capital, an as the ‘Genome Valley of India’. From the historical significance to a modern day marvel, Hyderabad has stood with its head held high passing the test of time and making itself significant with every passing era. With Charminar to its credit, Hyderabad is truly a cosmopolitan city that boosts of numerous museums, galleries, and home to the larger than life Telugu film industry. On visiting the city you would realize how Hyderabad holds itself in high esteem and self respect, the clean city roads and pleasant surroundings make it a perfect getaway for people looking for a historical city experience. 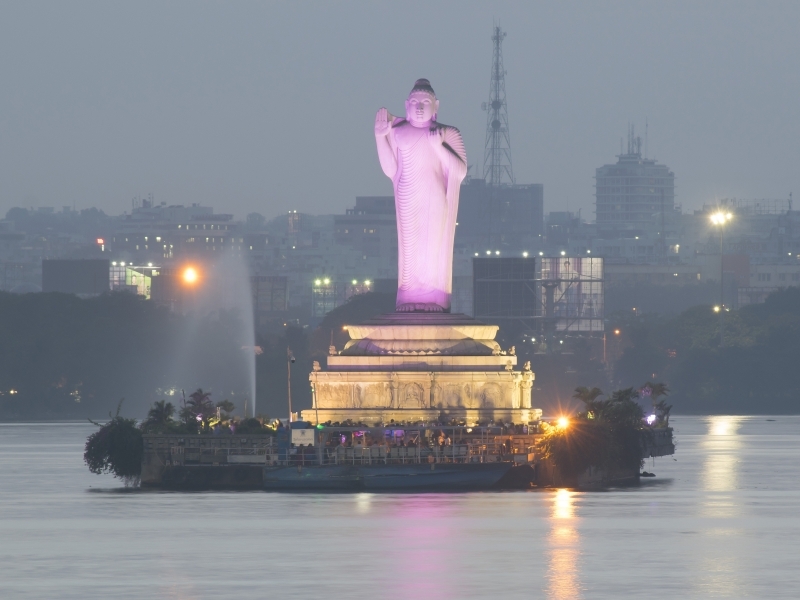 India being a country of cultural hotchpotch has much to offer to the world, and visiting Hyderabad can be a good start for those wanting to see pre British India. The culture of the place is such a mixture that in fact, Urdu and Telugu stand as the two most important languages spoken apart from other major languages. Coming in to Hyderabad can almost immediately remind you of the Nagesh Kukunoor starter Hyderabad Blues that can give you a cultural shock but none the fewer makes you fall in love with its myriad hopes. Historically speaking, Hyderabad is very, very rich; in fact much of its charm lies in the fact that it has a great tradition behind it. Interestingly, archeologists have unearthed Iron Age sites that may date from 500 BCE. 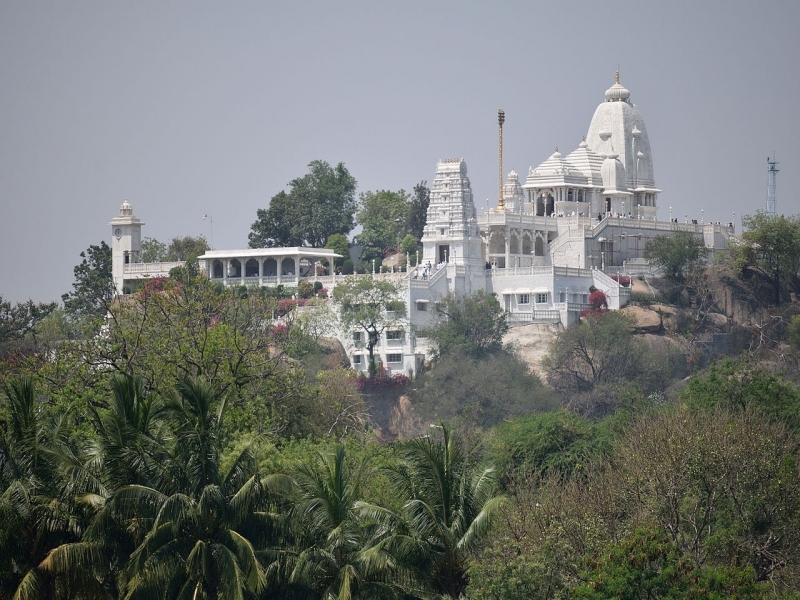 This region has been found to comprise of modern Hyderabad, and its surroundings were known as Golconda which can be translated to shepherd's hill. 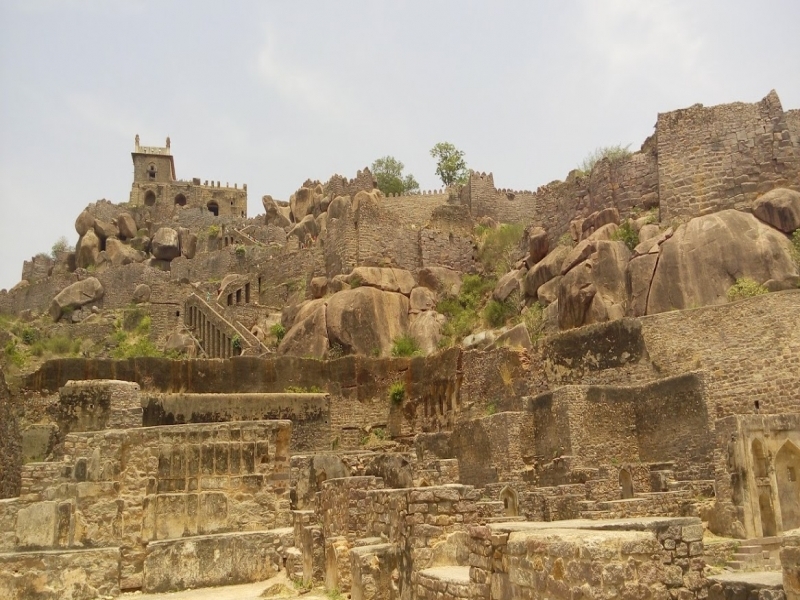 It was ruled by the Chalukya dynasty from 731 CE to 966 CE, and later, following the dissolution of the Chalukya Empire into four parts in the 11th century, Golkonda came under the control of the Kakatiya dynasty (1000–1310), whose headquarters was at Warangal, 148 km (92 mi) northeast of modern Hyderabad. The city has been influenced by a multitude of cultures and traditions, as all the seven Qutb Shahi sultans being patrons of learning and great cultural builders, had contributed to the growth and development of Indo-Persian and Indo-Islamic literature and culture in Hyderabad. Even so much so that some of the sultans were known as patrons of local Telugu culture as well. Trade and business also took a new height as during the Qutb Shahi reign Golconda became one of the leading markets in the world for diamonds, pearls, steel, arms, and also printed fabric. In the 16th century, the city grew to accommodate the surplus population of Golconda and eventually became the capital of the Qutb Shahi rulers. 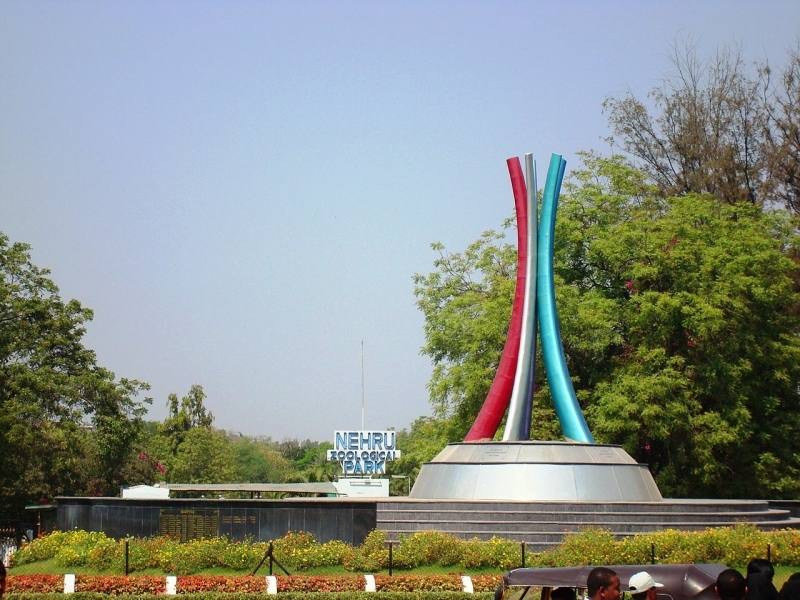 Hyderabad became known for its gardens and its comfortable climate. The city’s reputation grew to such an extent that visitors from other lands compared the city most to the beautiful city of Isfahan in Iran. Then came the Mughal conquest of the city as Aurangzeb laid siege to Golconda in 1686. Golconda held fast under months of siege, and Aurangzeb had to retreat in frustration; however, he returned in 1687 and laid siege for 9 months camping in the Fateh Maidan. The history of Hyderabad, as told through local legends has it that the fortress held on, but the gates were opened at night by a saboteur Abdullah Khan Pani who was bribed by Aurangzeb. However, Aurangzeb's efforts would turn out largely in vain, with Hyderabad remaining in Mughal hands for less than four decades. The later, the rule of the seven Nizams that followed had a vast cultural and economic development on the city and its surroundings. When we talk about the cultures of Hyderabad we ought to remember the Deccani Tehzeeb, which basically characterizes the linguistic and cultural traditions that meet and mingle in the city. A typical Hyderabadi if you see has a mixture of both Hindu and Muslim traditions in them and could either be a Telugu or an Urdu speaking person. Also, traditional Hyderabadi attire is Sherwani and Kurta-Pajama for men, Kharra Dupatta and Salwar Kameez for women. Also, you may find Burqa and Hijab commonly worn among the Muslim women in public, as with the rest of India, the youth here too prefer to wear western clothing. Famous public carnivals celebrated in Hyderabad include the Ganesh Chathurti, Bonalu, Eid-Ul-Fitr and Eid-Al-Adha. 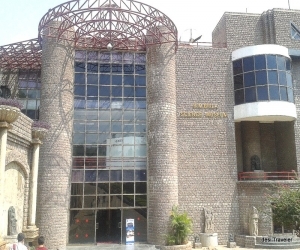 Out of all the museums that are present in the city, the first was established by AP State Archaeology Museum (former name Hyderabad Museum) in 1930. 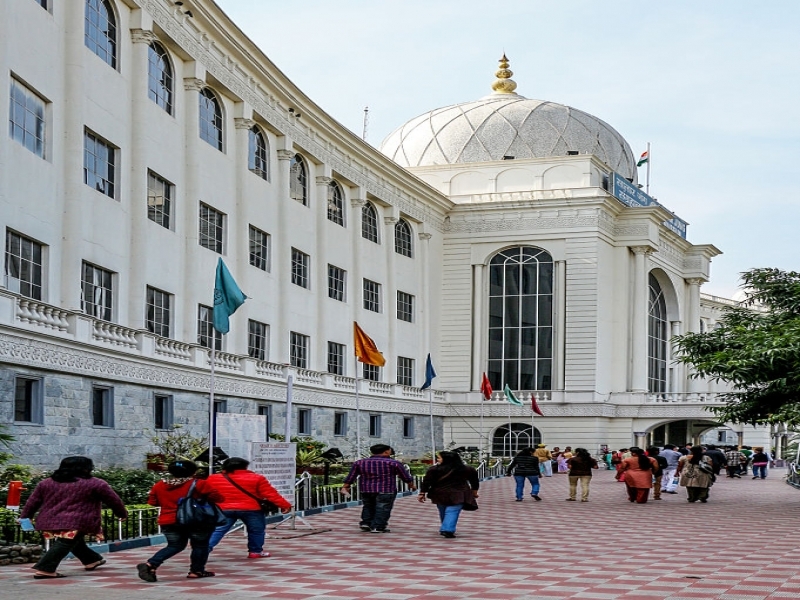 The city also has other important museums including, the Salar Jung Museum which houses "world largest one man collection". One can find the high use of luminous, gold and white colours on Deccan paintings, as due to the Islamic influence in the sultanate the Deccani paintings are mostly of nature with the background of flora and fauna, and the major use of regional landscape are reflected commonly with regional culture, some of the Deccani paintings also present the historical events of the region. One can drench in the festivities of Ganesh Chaturthi, Muharram, Diwali, Holi, Bonalu, Dusherra, Ugadi, Sankranthi, Rakhi and Ramzan. Hyderabad has no dearth of sightseeing, after all it’s the land of Nizams, and so history is pretty much staring right at you. Chowmahalla Palace: This was once the seat of Asaf Jahi dynasty, where the Nizam entertained his official guests and royal visitors. Initiated in 1750 by Nizam Salabat Jung and designed along the lines of the Shah's palace in Isfahan, this actually consists of a group of palaces each used as a Durbar Hall. 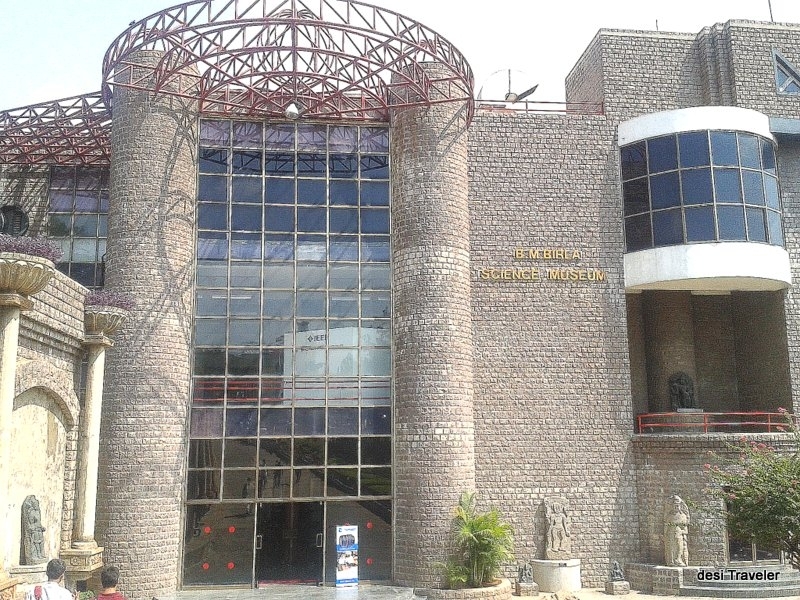 It has now been aesthetically renovated and is also venue for conferences. 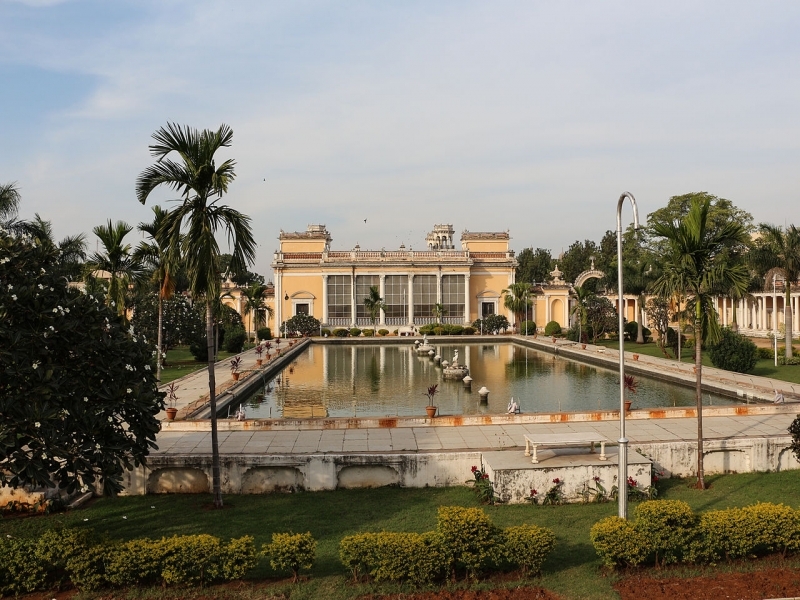 Falaknuma Palace: This majestic palace that was built in the style of Louis XIV décor, has a Mughal ambience, Italian marble staircases and ornate fountains. Built by an Italian architect through one of the Paigah nobles, Nawab Viqar al-Umra', complete in Italian marble. It has now been undertaken by Taj group to develop this as Heritage Hotel. Mecca Masjid: A Symbolic Mosque, Mecca Masjid was built 400 years back during the reign of Sultan Muhammad Qutub Shah, the 6th Qutub Shahi Sultan of Hyderabad. The three arched facades have been carved from a single piece of granite, which took five years to quarry. 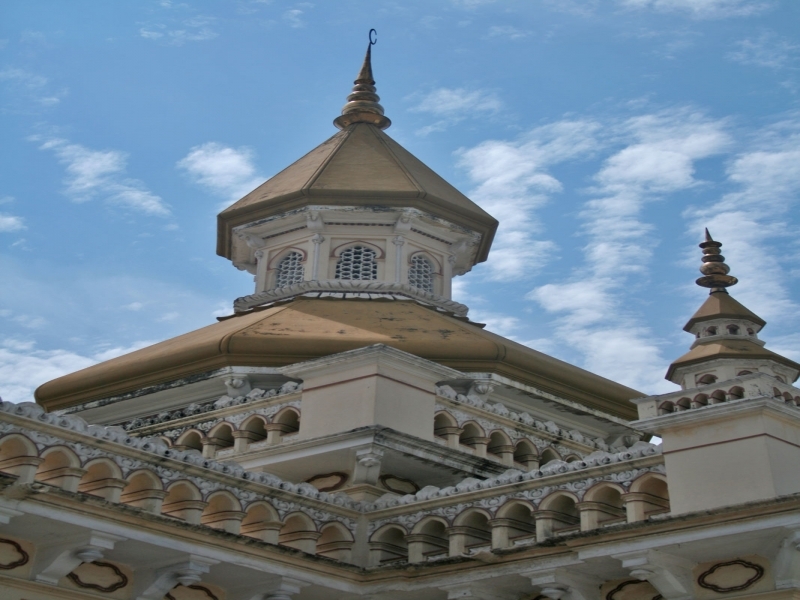 More than 8,000 workers were employed to build the mosque. Muhammed Qutub Shah personally laid the foundation stone of the 'mosque'. If we are talking about Nizams then you probably know what you are heading for in the cuisine department of Hyderabad, yes, nothing less than a feast fit only for a king. The cuisine which is very much influenced from Turkish, Arabic, Mughlai and Tandoori will simply blow your taste buds. The first thing that strikes one when thinking about Hyderabadi food is the special Hyderabadi Biryani. Biryani is a dish prepared with rice and meat and the fun fact is that this dish actually changes in accordance to the city. So, you have a Delhi Biryani, a Calcutta Biryani, and a Hyderabadi Biryani, but people do usually swear by the Hyderabadi one, after all its right out of the Nizam’s kitchen who actually used to serve 26 varieties of Biryani for his guests! If you are at Hyderabad, you must then taste the Biryani. Currently you can savor Hyderabadi Biryani, Kachhe Gosht ki Biryani, and Hyderabadi Zafrani Biryani. Yes, most of the delicacies found in Hyderabad have been lifted from the kitchens of the Nizams, who loved their food, but there is something else you could find here that can find its routes in Arabia is called Haleem. It is a seasonal delicacy and is cooked with wheat and meat, which are cooked for hours to make porridge like paste. Like every other city, Hyderabad too has its own version of snacks and savories, like lukhmi, dil khush, chotta samosa, and dil pasand. All in all you must remember to be careful if you are not used to rich food, and do not by any chance miss the Biryani! Commuting within the city is not much of a problem, as with any Indian city these days; here we have laid down for you the carious modes of communication in and around the city of Hyderabad. Buses: Hyderabad has bus services that connect most of the city, as well as its surrounding areas. Any commuter trying to get a hint of local flavor can hop into one of these reasonable transport choices. Railways: the Hyderabad Deccan that stands as the most important Railway Station in the city does have train services on a daily basis. Much like the rest of India, the railways here to have a very big demand and are well connected to the rest of the country. It is only wise to get your reservations before hand, or else getting a booking can be difficult. Taxis and autos: Around the city you will find, yellow colored Auto Rickshaws usually referred to as an "auto", and this is the most widely used taxi in Hyderabad, you can find one in any part of the city, and at any time of the day. There have been many changes recently with cars and SUVs that have been introduced as taxi. Radio Taxis provide a luxury travel in the city but are considered relatively expensive for the common man. MMTS: There is a different sort of transportation for the city, and that is the light rail transportation system known as the Multi Modal Transport System (MMTS). The MMTS is owned and operated by Indian Railways, and it connects various parts of the city and suburbs of Hyderabad. The usability of this system is limited as the railway department did not fully develop as was initially planned. When in Hyderabad you will have to make sure that you visit the following places for a shopping spree or just to look at the interesting shopping areas of the city! The main shopping areas include Basheerbagh, Abids and Nampally, where you can actually find everything in the biggest showrooms from jewellery, textiles, handicrafts to footwear, ready-mades and general goods in the markets. Other favored places are Begum Bazaar (brassware), Laad Bazaar (diamonds, pearls and precious metals) and Mahatma Gandhi Road. Hyderabad keeping up with its old tradition of the prosperous pearl trade, of the expensive, the exclusive and the rarest in the world, remains the pearl capital! Artisans have over the centuries become experts in segregating, categorizing and polishing pearls to give them various attractive hues. 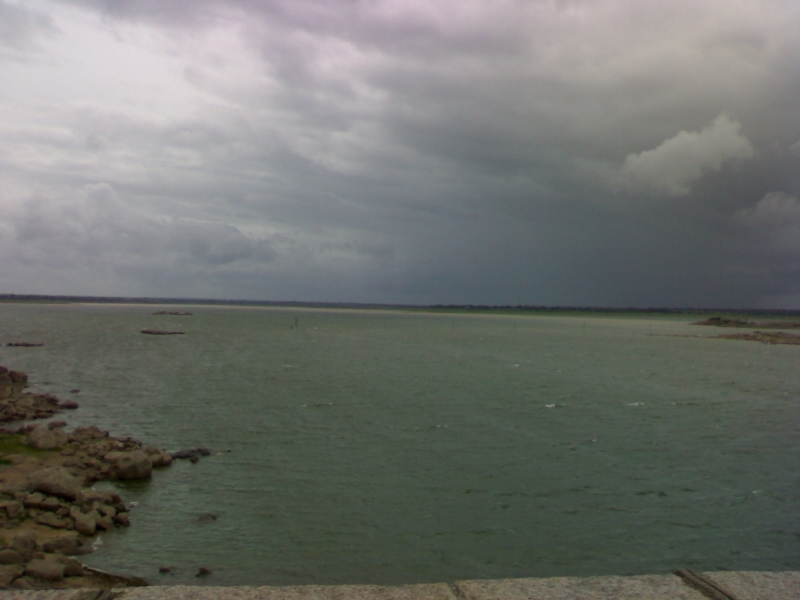 Hyderabad is today a world leader in the pearl trade. You cannot miss on on buying a set of pearls for yourself or your loved one when you are here in the city. Bangles made of glass and lacquer and studded with stones are yet another great market; you cannot miss out the famous chudi bazaar. In recent times, manufacturers have started giving a variety of fancy names akin to those of popular Hindi movies. The place to shop for bangles of the largest variety and at reasonable prices is the Laad Bazaar adjacent to the historic Charminar. You will find that the city has to offer innumerable showrooms that showcase the most distinctive heritages of the city - Handlooms. Dharmavaram silk saris that have the famous broad borders & woven brocaded gold patterns, the Narayanpet saris that are the rare blend of the native tradition with the art of the classical weavers of Varanasi, Venkatagiri saris, with graceful strains of gold. Pochampalli saris, woven using the exclusive lkat technique, Gorgeous Gadwal and enticing Kothakota saris typify Andhra traditional style. When the neon lights come to glow in the city of Hyderabad, one has an array of things to do here. You could indulge in the urban fascination of pubing/clubbing for one thing, or you could just simply get lost in the city and its charm! Some of the best places to have a drink include, 10 Downing Street, Bottles and Chimney, Easy Rider, and Firangi Paani. Contrarily you could dine in at Bawarchi, Alpha, Café Bahaar, Minerva Coffee Shop, and a host of other such places. 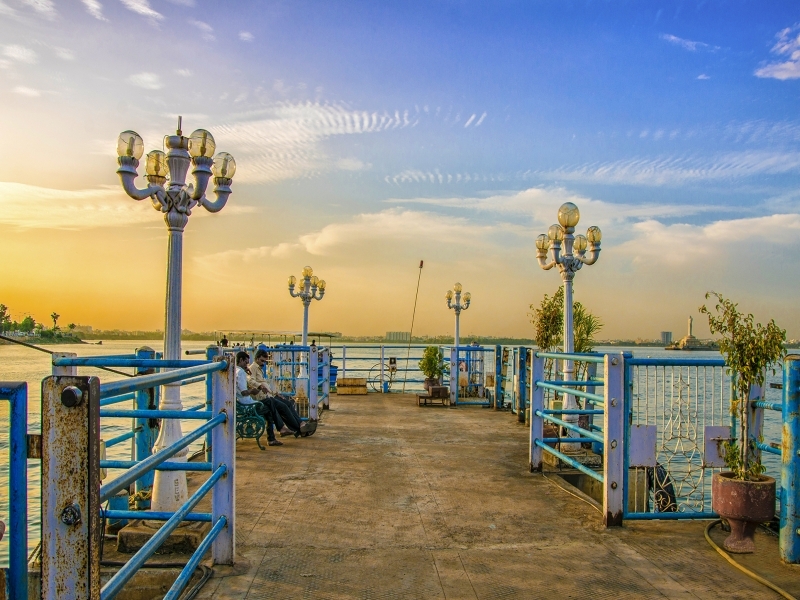 You could also visit the Hussain Sagar Lake which is a gem in the heart of the city. 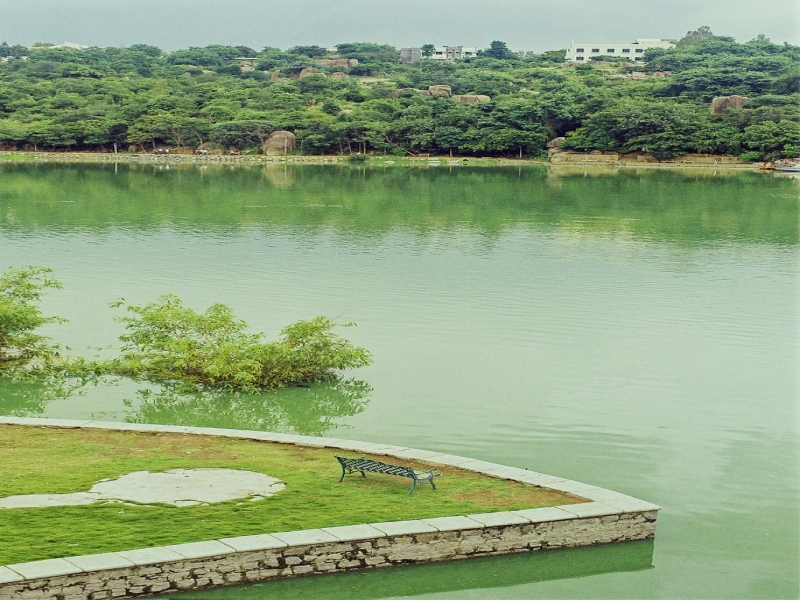 You have numerous options for lodging at Hyderabad; you could live like a prince for once! 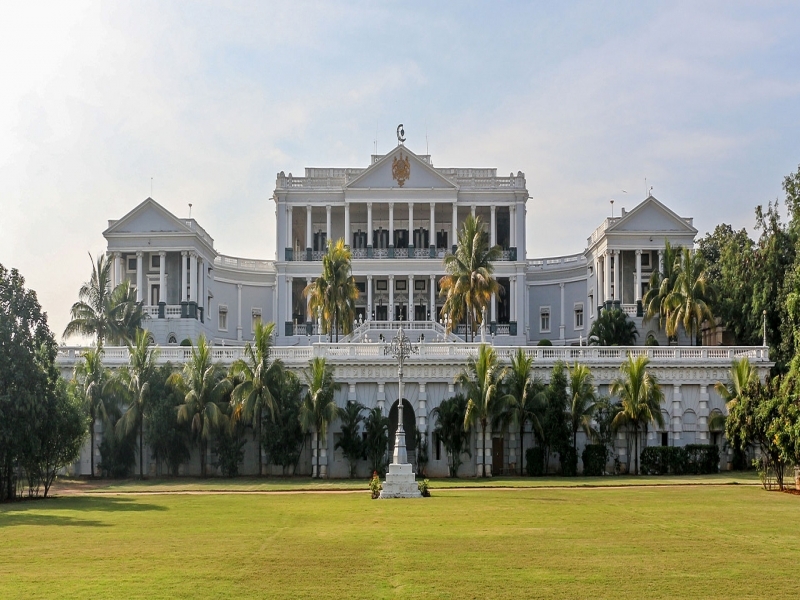 The Taj Falaknuma Palace is a destination fit for people ready to shell out a lot of money on their stay. The bright side is that you will get the best treatment, and a look at the luxurious lifestyle of the Nizams. Other than this, there are lot many options for you to stay in the main city, hotels ranging from cheap to very expensive; however you cannot camp and stay anywhere when you are in the city as it is not a beach! Whichever hotel you decide to stay in, never forget to eat the Biryani. We are repeatedly asking you to, so it must be out of the world! Before moving in to the place double check out the arrangements. Provided you have enough in your coffers you do not need to carry much. Almost everything that, you would probably require is available in the city. For long distance travel, railways and airlines provide their services. Do check out the flight and train schedules beforehand. There is nothing to worry about your health as facilities are ample and vulnerability to any kind of epidemic is very low. Still it is advisable to keep a first aid kit with you. Once you are in check out the popular attractions. You may probably land in what is called the Old City or 'Sheher'. 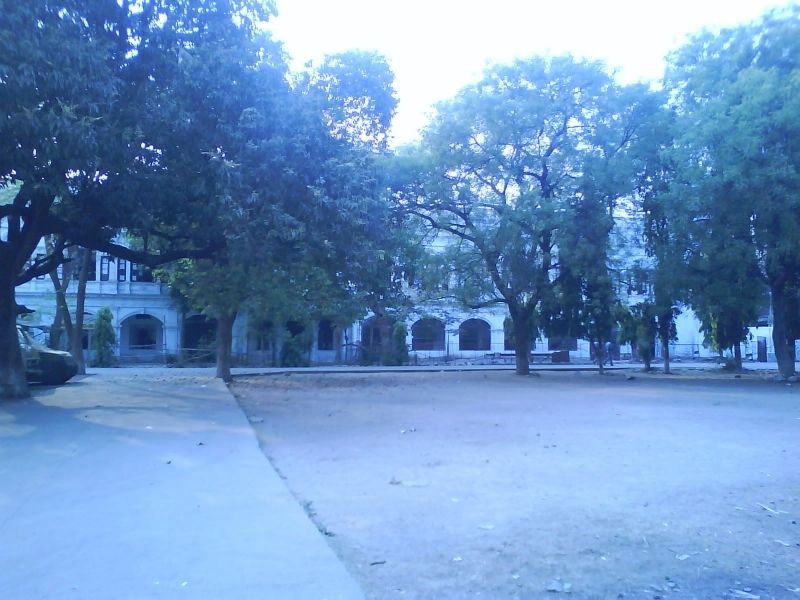 The place has been the seat of the capital in the past and still houses some of the oldest trading companies and merchants of pearls, for which the city has earned a great reputation. 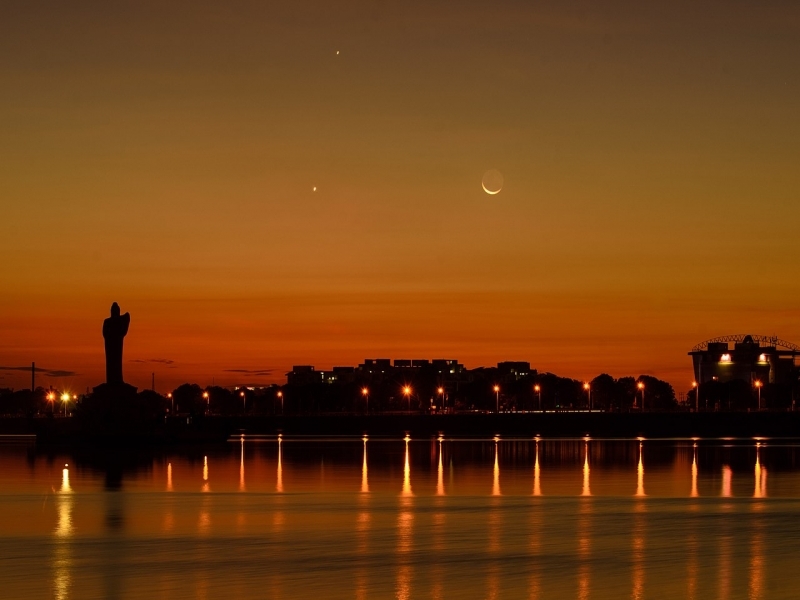 Do not forget to visit the Hitech City. You may get an inspiration, if nothing else. Popular food, more precisely Hyderabadi Biryani, is delicious, and it really fills something. All you need to do is feel a little hungry and step in to a restaurant. There are discotheques and bars at many places to fill in the darkness of the night. Mess up with the touts and always rely on credible agencies. Start shooting people with camera, people get very offended. Always ask for permission and make it a note at sacred places. Make any kind of damage to public property, monuments or any life form. Respect the culture and the tradition of the place at all times. Be careful not to allow taxi drivers and other such rouge guide take you around with the promise of showing you the best. Always take a map with you and know where to go and how! Do not get into taxis with some random fare money that the driver suggests, always find out from the locals on the faring technique of the city, they are yourthe best guidee. When taking a trip to Hyderabad, you need to make sure that you take a look at the forts, without them your trip is a definite failure!